Summer is a time children often look forward to because it means a break from school for a few months. No strict schedules — no classes — no homework. 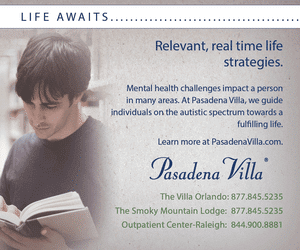 But for children with Autism Spectrum Disorder (ASD), a change in daily routine can actually create new stressors. Children with ASD are often rigid and inflexible when it comes to change, and many do not like it when their schedules are altered. The tension these children experience can also increase the stress levels for the parents and other family members in the household. 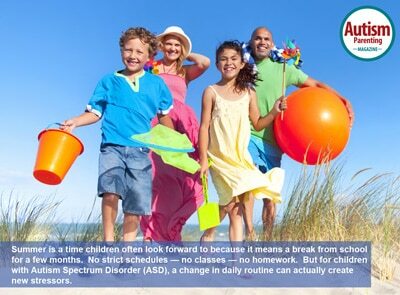 While no two individuals are alike, there are ways parents can possibly help ASD children transition more smoothly into summer. Knowing what works and what doesn’t work for your child may also help make the transition easier. Planning ahead may help children with ASD adjust to the changes easier, and it is helpful to let the child know what is going to happen next. Some ways that parents can help with the routine changes are by providing their child with a schedule early on and stick to it as much as possible. Some parents find it helpful to have a timer that allows the child to have a visual cue. For example, if you need to leave your house in 15 minutes, you or your child can set the timer to go off in 15 minutes. This allows your child to see the clock and know that when the clock goes off, it is time to leave the house. Social stories are a great way for parents to introduce and explain social concepts and situations in a visual format for individuals with ASD. Social stories may increase the child’s understanding of a social concept and can help the child understand what is going to happen. By letting your child know ahead of time what is going to take place, the potential anxiety and stress associated with the activity may decrease. PECS was developed as an augmentative/alternative communication intervention package to help individuals with ASD and other related developmental disabilities. PECS allows children and parents to communicate with the use of pictures that represent an item or activity that the child desires. Once the child makes the request, then the parent honors the request. For more information about PECS visit: http://www.pecsusa.com/. Since you already know when school is going to let out for summer, it may be helpful for parents to start introducing small steps that will help the transition from school to summer go more smoothly. For example, parents can start off by discussing how many days are left in school and talk about some potential activities that are planned for summer break. Slowly introducing aspects of your child’s summer may help your child be less anxious about the change in routine. If you are going to register your child for summer camp or specific summer activities that are new to your child, it may be helpful to introduce your child to the new activities or places beforehand. For example, if your child is going to a summer camp, it is a good idea to take your child to the summer camp location, and, if possible, it is helpful for your child to meet the camp counselors. Also, talk about some of the activities that your child will be doing at camp so your child has an idea of what to expect. In addition to the changes in routine, children may also spend more time outdoors during the summer break. Some outdoor activities that children typically do over summer break are swimming, biking, and walking. While spending more time outside may be fun and beneficial, parents should be aware of potential risks as well as how to teach their child appropriate safety behaviors. 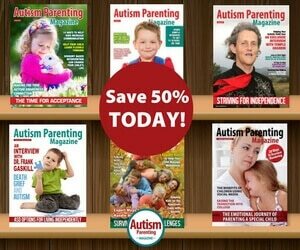 There are many ways we can teach children with ASD how to be safe. Parents can use social stories, charts, adult modeling, reinforcing behavior that is appropriate, and being consistent with consequences when your child engages in unsafe behaviors. Adapted from the Safe Kids website, there are some important tips that parents should teach children when it comes to pedestrian safety. This is not a complete list, but rather guidelines. 1. Talk to your child about what safe walking looks like. Explain why it is usually best to walk on sidewalks or paths. Explain the protocol for crossing the street such as using crosswalks or crossing the street at intersections where there may be pedestrian signals or marked crosswalks. Show your child how to use the crosswalk properly and talk about how the traffic signals work. 2. 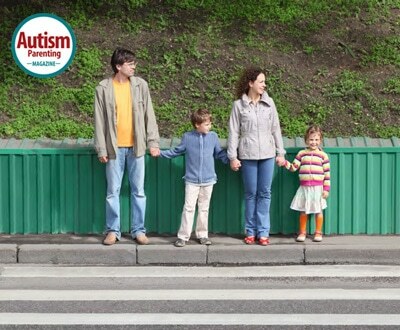 Teach your child the importance of being aware and alert when crossing the street. Make sure they know not to use electronic devices or wear headphones in their ears while crossing the street. Teach your child to look left, right, and left again before crossing the street. Explain to your child about oncoming traffic that way he or she knows what to expect when walking on sidewalks or using crosswalks. It is also important to remind your child that just because they have the pedestrian symbol, and can cross the street in the designated cross walk, it is still important that he or she looks left, right, and left again to make sure no traffic is coming before stepping into the cross walk. Remind your child that it is important to make eye contact and/or get feedback from drivers before crossing the street. Sidewalks can often go through driveways and side streets, so it is important to teach your child that before stepping into the street or going through a driveway, they must look for cars backing up, turning, and crossing the street. Set rules that are age and developmentally appropriate for your child. For example, Safe Kids recommends that children under the age of 10 should be accompanied by an adult when crossing a street — they recommend this because children have a hard time judging the speed and distance of cars until the age of 10. If you don’t feel comfortable letting your child walk alone, then it can be a family-specific rule. It is still important for children to know the basics of pedestrian safety whether the child is walking alone or together with others. When driving, it is important to be alert in neighborhoods and school zones — drivers should constantly be scanning the area keeping a look out for bikers or pedestrians that may step out into the street unexpectedly. Modeling appropriate behavior is a great way to teach your child how to be safe walking on the street. By being alert while driving, parents are able to demonstrate the role of the driver when pedestrians or cyclists are present. While a lot of the pedestrian safety tips can be applied to bicycle safety, there are some tips for bicycle safety that are specific for riding a bike. 1. Wearing a helmet that is the right size. Not only should children and adults wear helmets, they also need to be fitted properly. Make sure your child knows how to put on his or her helmet correctly. Your child’s helmet should sit on the top of the head in a level position and should not rock from side to side or back to front. The helmet straps must always be buckled but the straps should not be too tight. Make sure your child is wearing an appropriate helmet for riding a bike. For tips on how to properly fit a helmet go to: http://www.safekids.org/sites/default/files/documents/Helmet%20Fit%20Test%202013.pdf. Letting your child pick out their helmet, as long as it is the right size, may increase the likelihood of your child wearing his or her helmet every time he or she rides a bike. 2. 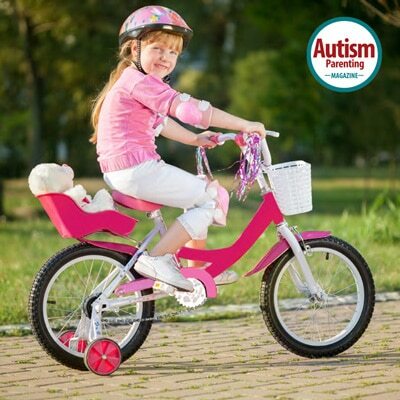 As a parent, you should actively supervise your child riding a bike until you are comfortable that they are responsible and capable of riding their bike without supervision. 3. Parents modeling and teaching appropriate behavior. If you are going to ride a bike make sure that you as a parent wear a helmet and follow the safety tips while riding. Teach your child to make eye contact with drivers and that, as a biker, it is your child’s responsibility to make sure that the drivers are paying attention before your child crosses the street. When riding on the street, tell your child to ride with traffic on the right side and not against traffic. Have them stay as far to the right as possible and teach them the appropriate hand signals for riding a bike. Just like when your child is a pedestrian, they need to know that they need to stop, look left, look right, and left again before entering a street or crossing an intersection. If your child is going to need to turn, it is important for them to look behind them and yield to the traffic that is coming up behind them before they turn left. 4. Make sure your child knows the importance of being seen. When your child is riding his or her bike during low light hours (generally between dusk and dawn) it is important for them to wear bright colored clothing, use lights, have reflectors on them or their bike, and have other accessories that increase your child’s visibility to motorists. Know your specific state bicycling laws and the requirements for riding a bike. For example, some states require that cyclists have a front light and rear reflectors. Make sure that your child is meeting the requirements of your state but remember it is important to increase your child’s visibility as a cyclist so that cars see your child. It is important for children to be supervised while around water. Make sure you are not only present but you are actively supervising your child. While your child is in or near water, put all distractions away. This is especially important for young children and children that do not know how to swim. When not in use, make sure that all tubs, containers, and kiddie pools are empty and stored out of your child’s reach. If you have a swimming pool in your back yard make sure that the appropriate safety measures have been taken. For example, the doors leading out to the pool should be locked, and if there is a pool safety gate around your pool, make sure it is locked. Teach your child how to swim or enroll them in swim lessons if they do not know how to swim. Look for adaptive swim classes for your child depending on his or her age and developmental stage. If your child has difficulty learning the conventional swimming techniques taught in many swim classes, then make sure they know the basic survival techniques so they can stay afloat until help arrives. It is a good idea for parents to learn CPR to be prepared if an emergency arises. Find a life jacket or other flotation assisting device that is appropriate for your child. Alison Schmeer was born in Vero Beach, Florida. As a volunteer at local elementary schools, Alison found that she had an interest in helping students labeled as “difficult” or “hyper.” She was drawn, in particular, to children with special needs. In May 2012, Alison received her Bachelor of Science degree in Family, Youth, and Community Sciences from the University of Florida with honors. As an undergraduate, Alison minored in Education and specialized in Certified Family Life Education. Alison completed her Master of Science degree in Family, Youth, and Community Sciences at the University of Florida in 2014. In addition to her master’s coursework, she also completed the Autism Competencies for Endorsement courses through the College of Education which included Evaluation of Special Education, Nature of Autism, Intervention for communication and Social Development, and Behavior Management and Positive Behavior Support. 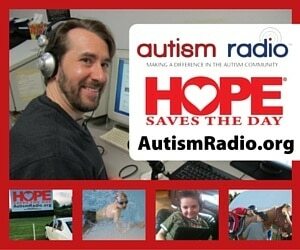 These courses, along with her masters thesis, allowed Alison to gain experience in working with children with special needs, specifically Autism Spectrum Disorder (ASD), and their families. Her research focused on exploring the impact that ASD has on the sibling relationship when one sibling is typically developing and the other sibling has ASD. Alison Schmeerwas born in Vero Beach, Florida. 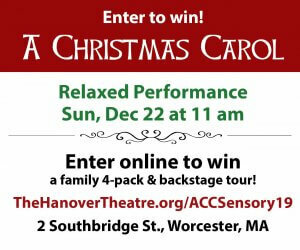 As a volunteer at local elementary schools, Alison found that she had an interest in helping students labeled as “difficult” or “hyper.” She was drawn, in particular, to children with special needs. In May 2012, Alison received her Bachelor of Science degree in Family, Youth, and Community Sciences from the University of Florida with honors. As an undergraduate, Alison minored in Education and specialized in Certified Family Life Education. Alison completed her Master of Science degree in Family, Youth, and Community Sciences at the University of Florida in 2014. In addition to her master’s coursework, she also completed the Autism Competencies for Endorsement courses through the College of Education which included Evaluation of Special Education, Nature of Autism, Intervention for communication and Social Development, and Behavior Management and Positive Behavior Support. These courses, along with her masters thesis, allowed Alison to gain experience in working with children with special needs, specifically Autism Spectrum Disorder (ASD), and their families. Her research focused on exploring the impact that ASD has on the sibling relationship when one sibling is typically developing and the other sibling has ASD.